A child who has disabilities may be eligible for Supplemental Security Income (SSI). SSI makes payments monthly to qualified children. It is important for parents, guardians, and caregivers to understand what requirements must be met for a child to qualify. An experienced Social Security disability attorney in Glen Burnie, MD can help you with the application process. We will make sure your application is complete and has all the necessary information to prove your child meets the social security guidelines to receive benefits. The child must be unemployed or cannot earn more than $1,170 in 2017. The earning cap usually changes yearly. The child’s physical and/or mental conditions must cause “marked and severe functional limitations.” Meaning the conditions must seriously restrict a child’s activities. The condition must be disabling or expected to be disabling for a continuous period of twelve months at least, or the expected result of the condition is death. When evaluating a child’s eligibility for SSI, the child’s income and resources are considered. If the child lives at home then the earnings and assets of family members living in the same household as the child are also measured. This rule extends to a child who is under the control of a guardian or parent and is away at school but comes back home occasionally. If the total amount of these funds is more than the allowed amount, the child’s claim for SSI payments will be denied. What Information Must be Provided When Applying? Detailed accounts of the child’s mental condition and its effects on the child’s ability to perform daily tasks. Anyone who has information about the child’s condition should be given permission to provide information for the application. This includes the therapists, physicians, and teachers who interact with the child. Providing medical or school records will help to make the application decision process quicker. 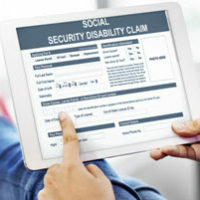 All of the information presented to Social Security is forwarded to the Disability Determination Services state office of the child. The state agency will have doctors and qualified staff evaluate the application. They may request medical and school records and any other information deemed necessary to determine if the child meets the requirement for disability. If the state agency cannot make a decision based on the provided information and facts, a request may be made to have the child undergo a medical examination or test. If testing is necessary, Social Security will pay for the medical exam. It may take up to 8 months to determine is your child meets the disability criteria. Although our office does not represent children for child SSI cases, feel free to contact a Glen Burnie Social Security disability attorney to ask questions. The Law offices of Steinhardt, Siskind and Lieberman, LLC has posted this blog as a public service to our community.